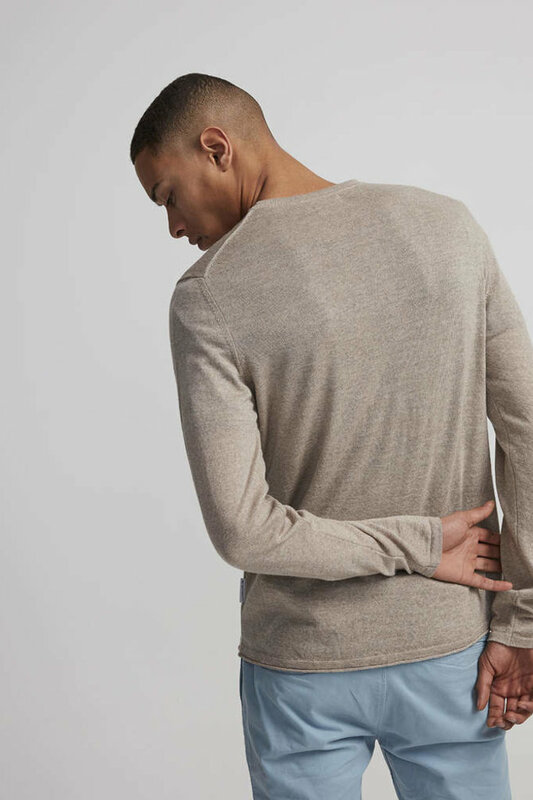 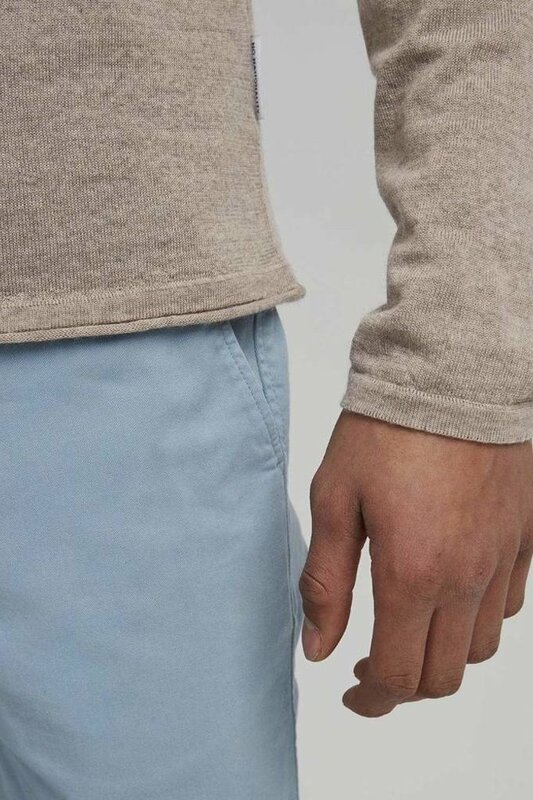 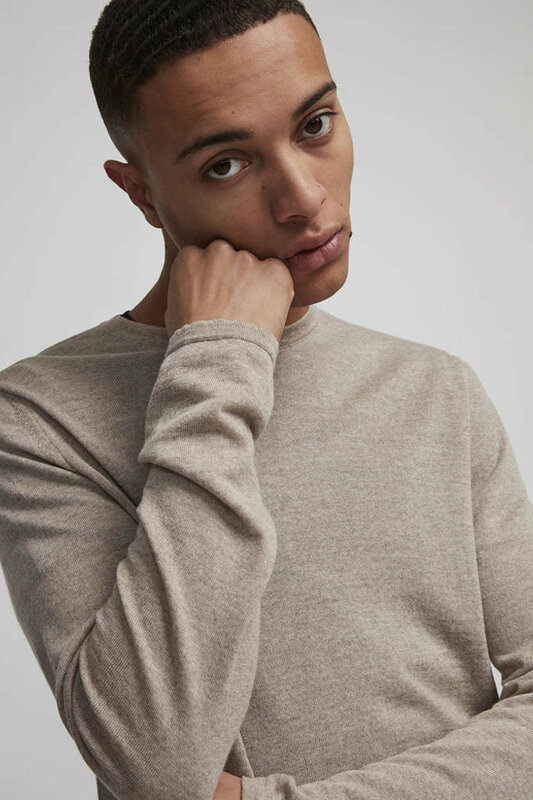 New Anthony is a 100% super fine merino knit. 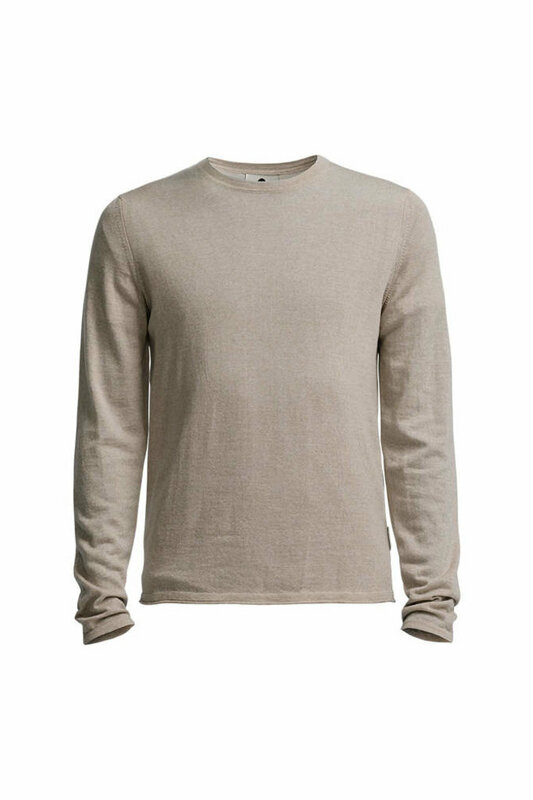 The style has a straight hem with rolling edge. 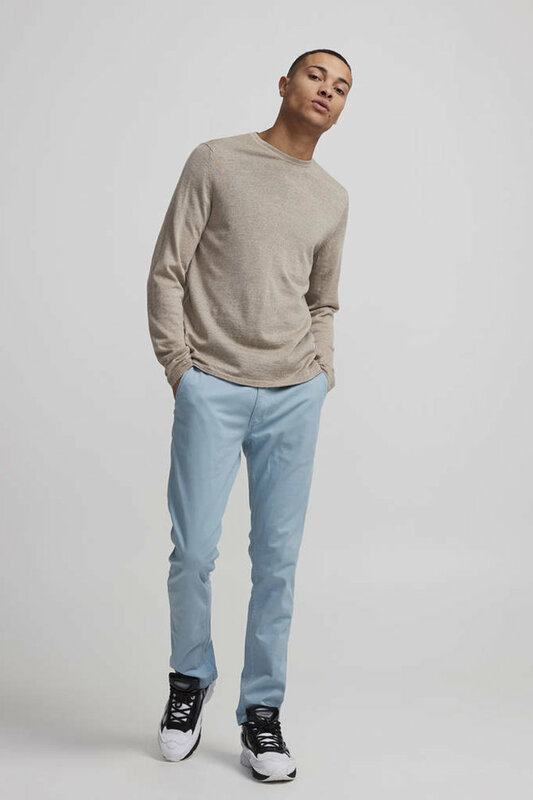 Made with Italian yarns and a regular fit.